Do you have enough food for emergencies? We here at Life1010 believe it’s best to always be prepared like the boy scouts. When it comes to food storage there is no exception. We know that there are lots of reasons to have food storage. 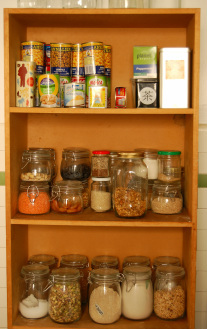 Food storage is a self-insurance for job loss, personal injury and or Maternity leave. When those bumps arrive it is nice to know that there is one thing you won’t have to worry about. Your tummy. We also have added in some tips on how to cook when that darn power goes out!